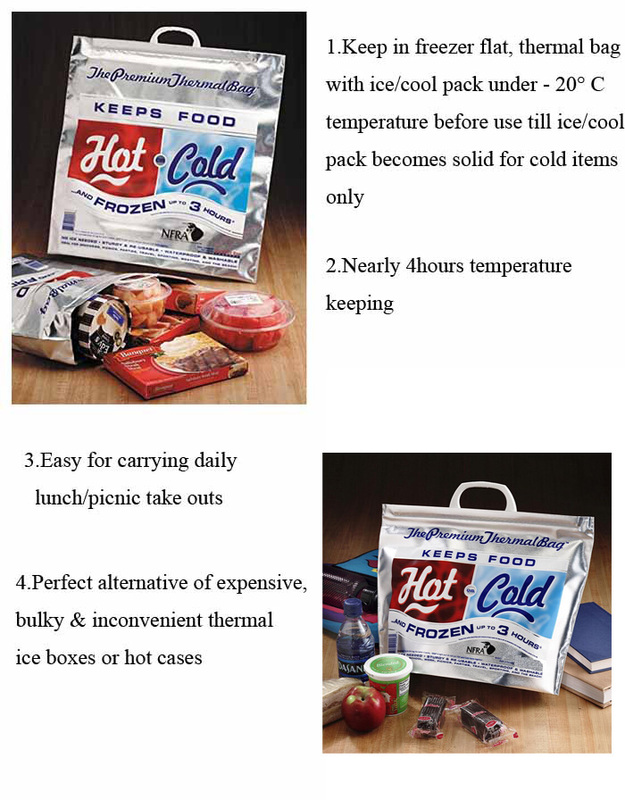 Hot and cold bags Will Keep your food at the temperature you like ! It will hold Up to 30 Lbs. of Frozen foods, Ice, Hot Pizza, and All your Picnic Needs. Also Great for Grocery shopping, the Beach, Boating, Fishing, Sporting events, Lunches, Picnics, Travel, Etc. They are 100% recyclable, food safe, and reusable, and offer a convenient way of keeping items hot or cold and frozen for hours at a time. Since they are so light weight and fold completely flat you can practically take them anywhere, or keep a few of them in the trunk of your car so you are always prepared. Hot and cold bags are good promotional choice for cream and food industry. * Aluminium foil insulated thermal lunch food delivery bag, which you could get the best price and service from us. Why so many people use poly mailers envelops bags?